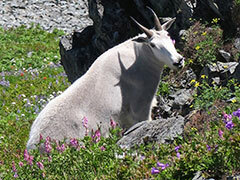 That mountain goat is WAY outside the "normal" range of goats in Washington. How did he get to Silver Star? I bet he's lonely.